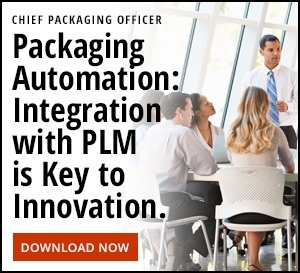 Since consumers are doing their homework, more and more consumer packaged goods (CPG) and quick service restaurant leaders are committing to improving organizational practices that impact the natural environment. Here are highlights from top brands pledging to more sustainable packaging strategies. We will continue to update this list as a resource for brands and consumers alike, enabling both to better understand large corporations’ strategies as they evolve. 100% of McDonald’s guest packaging will come from renewable, recycled or certified sources by 2025. Recycle guest packaging in 100% of McDonald’s restaurants by 2025. Recycling infrastructure, regulations and consumer behaviors vary from city to city and country to country, but McDonald’s plan to be part of the solution and help influence powerful change. McDonald’s is acutely aware of the influence they have as one of the world’s largest restaurant companies. As a brand, the scope of the communities and cultures they touch is vast. Understanding the wide breadth of their consumer base, McDonald’s is dedicated to matching the recycling behaviors of the individual regions they serve. By eliminating superfluous packaging materials, not only is Mondelēz clearly evaluating their how their manufacturing is impacting the natural environment, but it also shows a commitment to keeping their efforts consumer-facing. Less packaging material means less for the consumer to dispose of themselves. Work with partners to recover and recycle bottles and cans equivalent to 75% of those that Coca-Cola introduces into developed markets. By introducing recovered and recycled products into the marketplace, Coca-Cola is reinforcing the recycling behaviors of their consumers. They are inherently motivating consumers to engage in the recycling process as they have made simply the act of buying the Coke products they are already purchasing a part of the process. Strive to design 100% of packaging that is recyclable, compostable or biodegradable, increase recycled materials in our plastic packaging, reduce packaging’s carbon impact and in partnership with the PepsiCo Foundation, work to increase recycling rates by 2025. There’s a lot to consider when designing a product package with recycling in mind. Converting to recyclable packaging is a noble endeavor, and an important one; however, if consumers aren’t recycling, then that recyclable packaging is still ending up in a landfill. PepsiCo is doubling down and not only analyzing its materials but committing to working to influence consumer perceptions of recycling to improve recycling rates. 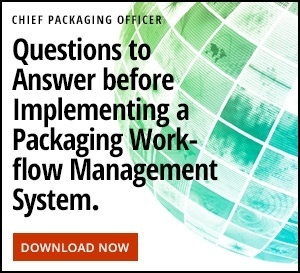 P&G is keenly aware of packaging’s key performance criteria: protecting its products. Putting innovative muscle behind packaging material reduction and moving from boxed products to bagged products in increase recyclability of plastic is how they are examining where they can make a positive impact internally. Externally, they are focusing on the role the consumer plays in the recycling process. By including messaging on packaging to educate consumers on recycling the package and investing an innovation project from New Plastics Economy Innovation which aids in the sorting of plastics at recycling facilities, P&G shows a commitment to improving the recycling process as a whole and making sustainable practices more adoptable by more consumers. Similarly, Nestlé commits to supporting the improvement of collection, sorting and recycling programs across the countries in which they operate, as well as educating consumers on proper recycling practices. The more product labeling and packaging conveys these messages the more it is likely to catalyze correct recycling behavior. This two tier-approach to their corporate sustainability pledge seeks to both continuously improve the environmental performance of their packaging while aiding in the development of recycling management to prevent even sustainably-sourced packaging from ending up as litter. Unilever specifically calls for a move away from the linear “take-make-consume-dispose” mindset and towards the circular economy approach, increasing efficiencies by reexamining the end of packaging’s lifecycle. Looking to play an active role in boosting recycling program performance, Unilever is taking a focused-approach through industry partnerships to stimulate recycling and recovery infrastructure by examining materials that are particularly complex to recycle. Danone is committed to minimizing the use of resources and to continuing to innovate their packaging to make 100% of it fully recyclable. By focusing on sustainable resources at the front end of the process, they are investing in the long-term success of their organization as they are increasing the supply of these commodities in the future. General Mills recognizes the wide scope of environmental impact of packaging, and therefore have identified a number of materiality issues that are relevant to the packaging value chain. By introducing sustainable practices in the early phases of packaging design can reduce packaging’s impact, General Mills decreases the amount of material used in packaging mock-ups while innovating and trystorming lower impact materials for packaging solutions. Like any of the other CPG companies listed here, General Mills is also committed to the consumer-side of sustainable food packaging practices that maintain food safety. Diageo is looking to their suppliers, retail customers and consumers to all be a part of the sustainable packaging process. Diageo will work with packaging suppliers to understand the relevant sustainability characteristics of materials. They have initiated programming that encourages their retail customers to contribute to the collection stage of the recycling process. They are also relying on their consumers to recycle more, and recycle better, and so they are committed to improving recycling infrastructures in the communities they serve around the world. This requires transparency across the packaging value chain to communicate and overcome challenges towards these initiatives. Sustainability strategies such as these are necessary to be competitive in today’s more environmentally conscious market. CPG companies and fast food brand leaders are lining up to outline their commitments to accelerate the progress towards the circular economy of packaging recycling. These pledges send a signal to other brands, suppliers, and vendors that there is a real demand for a more sustainable approach to packaging production that reduces environmental cost while continuing to protect and engage consumers. Did we miss a major brand? Contact us to add them to the list.